BUFFALO, N.Y. (WKBW) — For the eighth consecutive season the Buffalo Sabres are cleaning out their lockers before the Stanley Cup playoffs even begin. On Monday we heard from several players as they reflected on another disappointing season and the decision to part ways with former head coach Phil Housley. 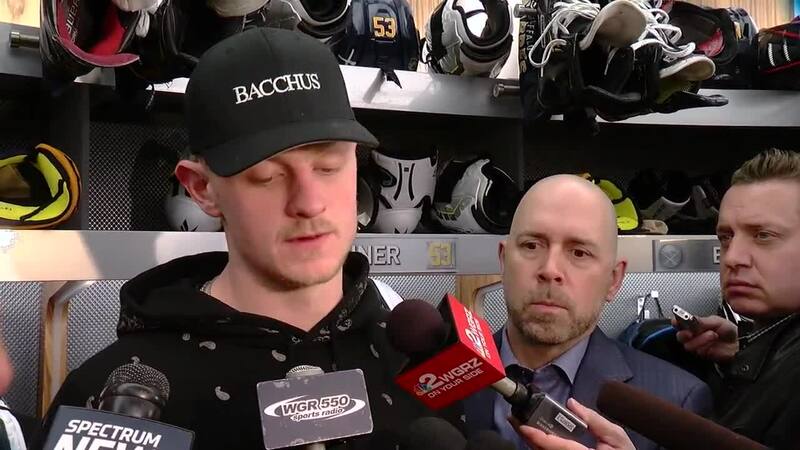 "It’s on us, it’s on us in the room," captain Jack Eichel said Monday. "I mean, we’re the product on the ice so it’s unfortunate that had to happen because Phil’s not the one playing the games. I’ve said this to you before, it’s on us as players to be better on the ice every night. It just hasn’t been good enough, the product on the ice hasn’t been good enough so it falls on nobody but ourselves." Defenseman Rasmus Ristolainen had the most eye-opening response of the day when answering a question about accountability within the Sabres locker room. "Winning is tough and maybe I would like to see sometimes practice or in the room when you guys don't see guys going at each other, maybe mother f**king each other a little bit," Ristolainen said. "It's not easy to win here and everyone wants it and maybe we need to be harder on each other." As for 40-goal scorer Jeff Skinner, he was asked about his future with the Sabres and whether or not he'd be willing to sign an extension to stay in Buffalo. He said it's something he needs to think about but he's leaving all of his options open. "I like it here, I love it here, I like the guys, I like the city and I had a great time," Skinner said. 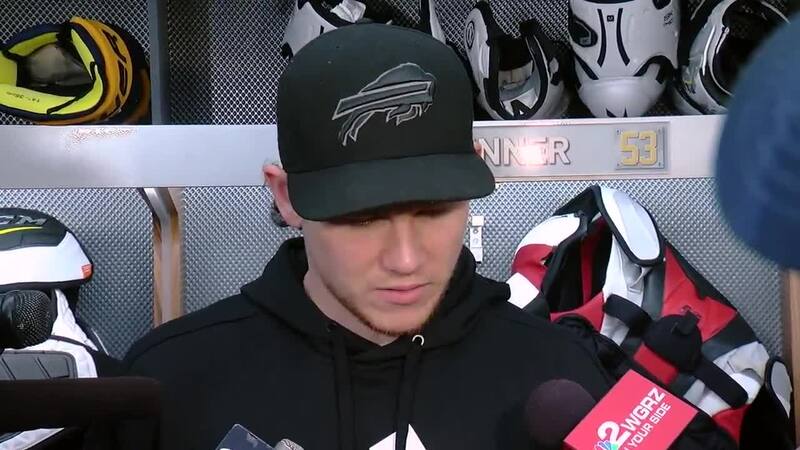 To watch the entire interview with Skinner, along with Eichel, head to the top of the page!